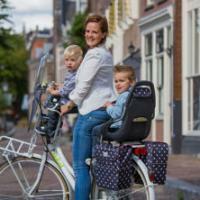 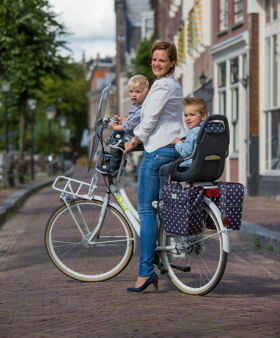 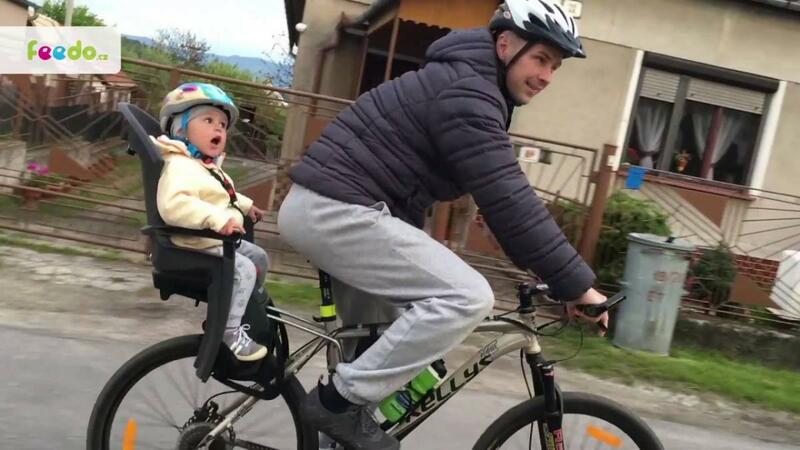 The extra chest buckle makes it easy to secure the child with one hand, while the bike is held steady with the other hand. 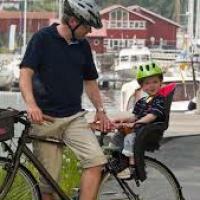 The chest buckle prevents any conflict with the helmet when the child is being placed into or lifted out of the seat. 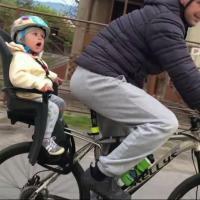 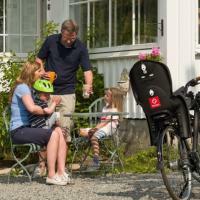 The child bike seat may be easily attached to and removed from the bike. 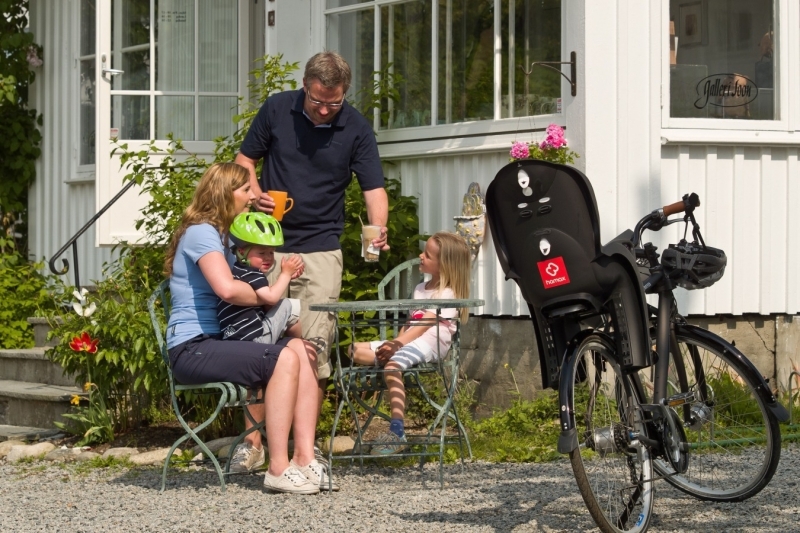 By purchasing an extra bracket, you may easily switch the child bike seat between two bikes. 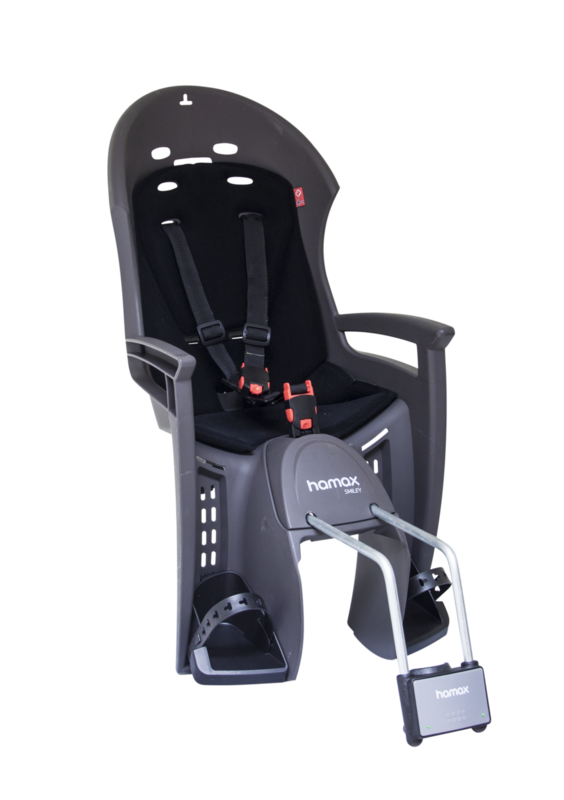 All Hamax child bike seats are designed to ‘grow’ with the child via an adjustable safety harness and footrests. 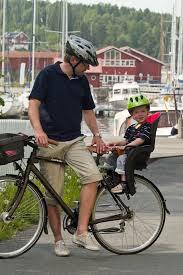 Hamax recommends that a child should always wear a helmet when using a child bike seat.